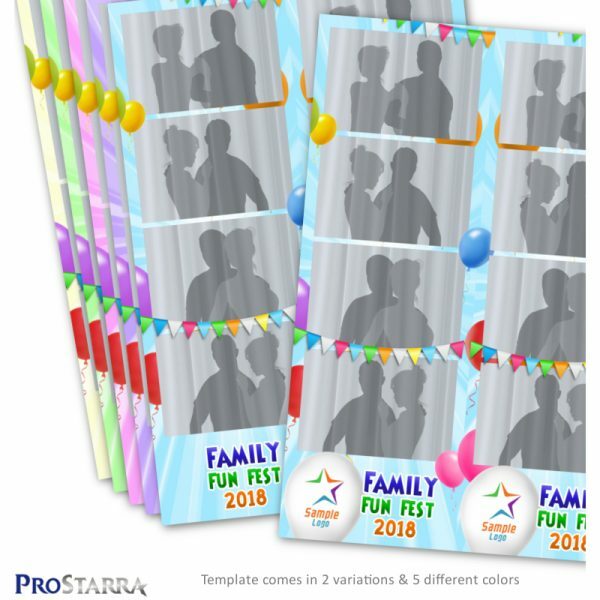 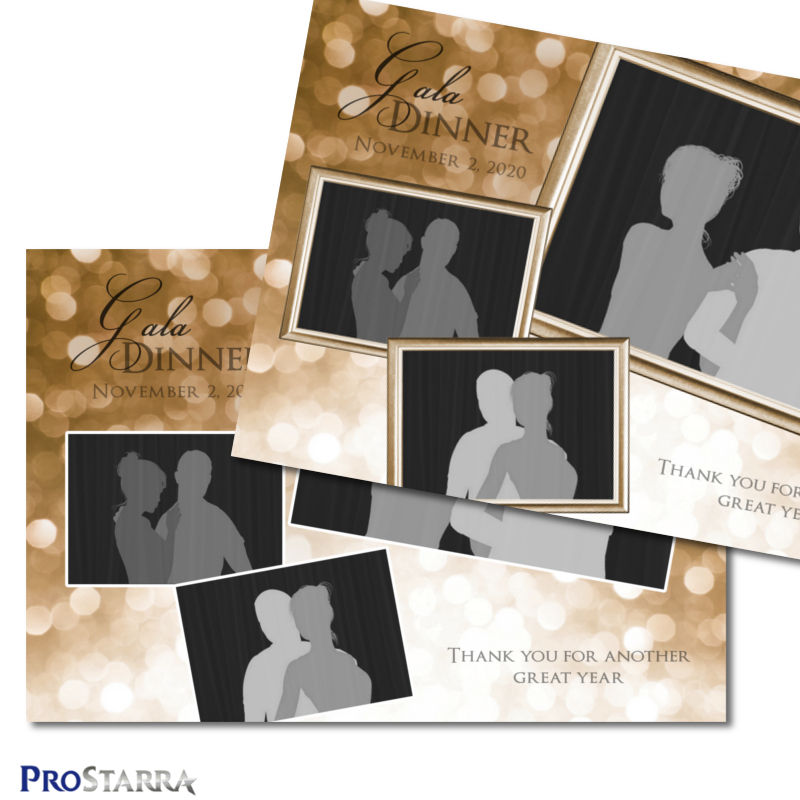 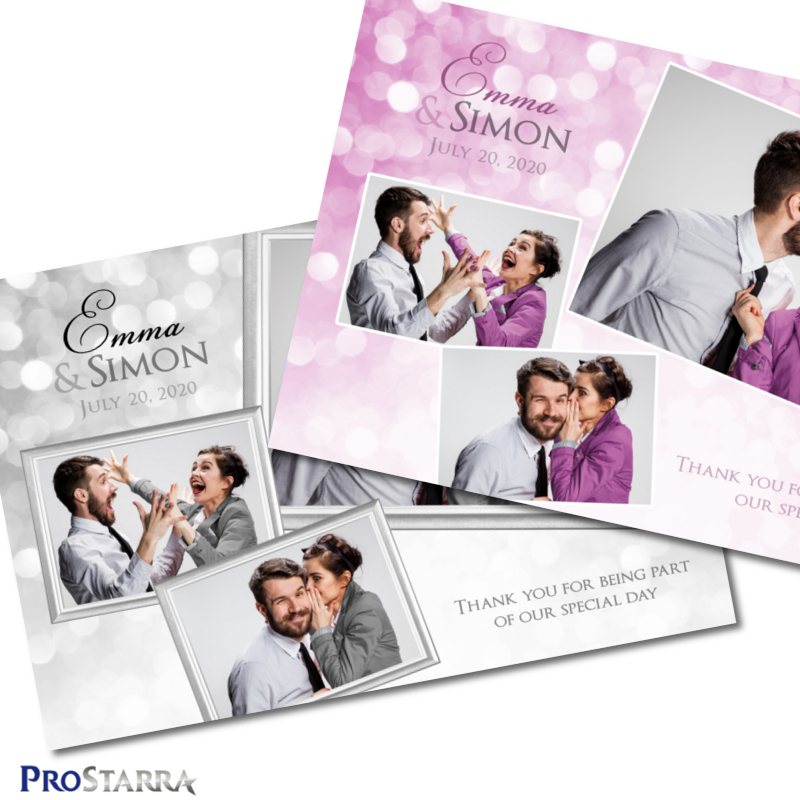 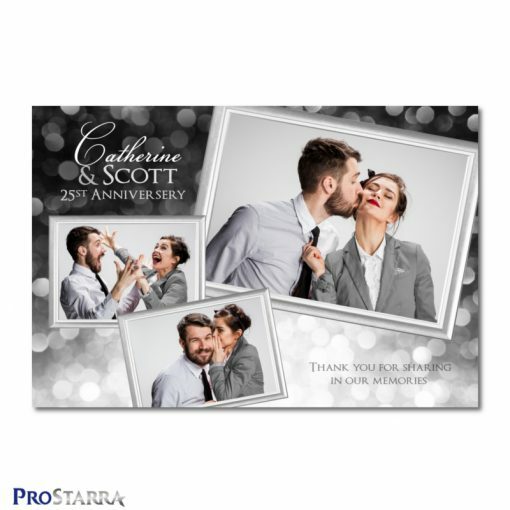 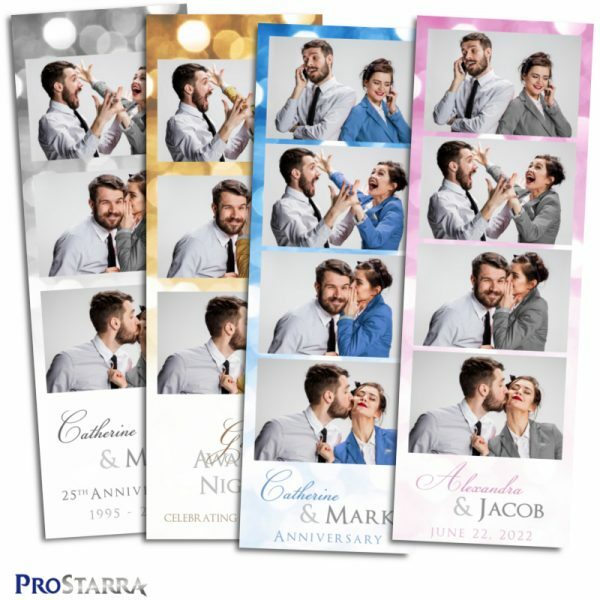 This postcard sized celebration themed photobooth template layout is great for weddings, anniversaries, corporate events, or any other fun event that needs a touch of class. 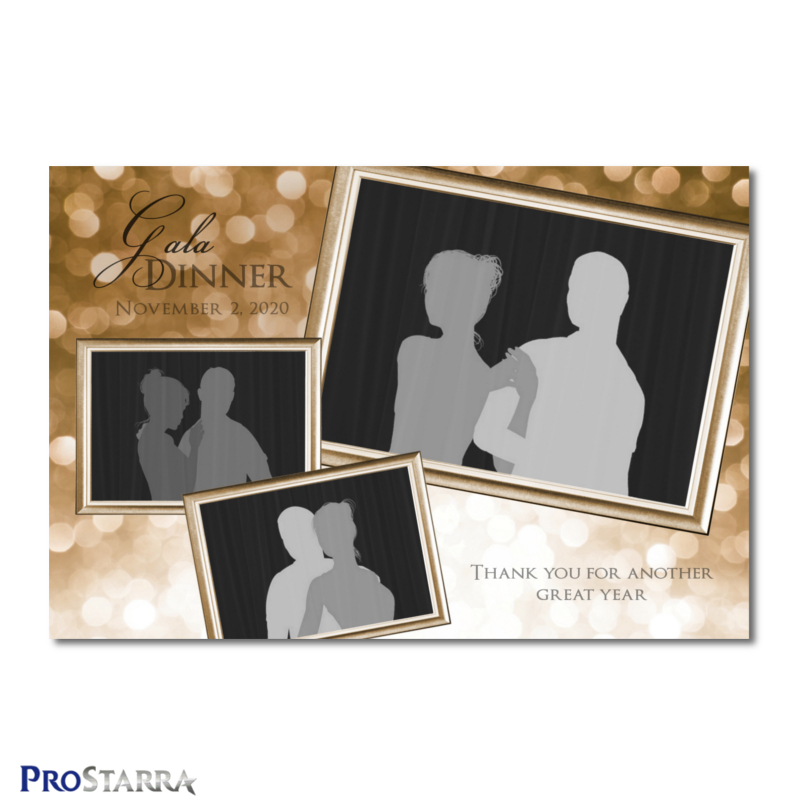 The layout provides space for three photos: a large one and two smaller ones. 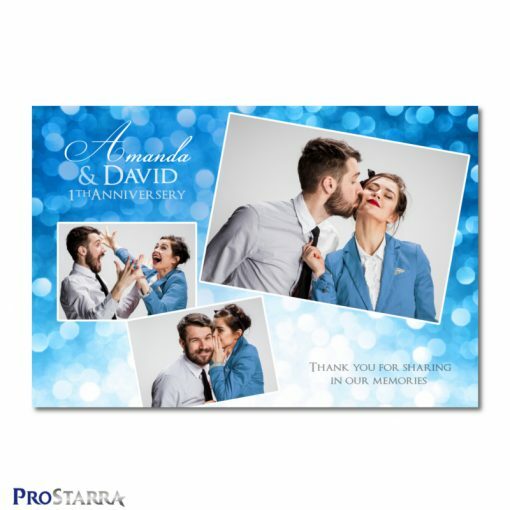 Two of the photos are placed at angles to enhance the fun, celebratory nature of the theme. 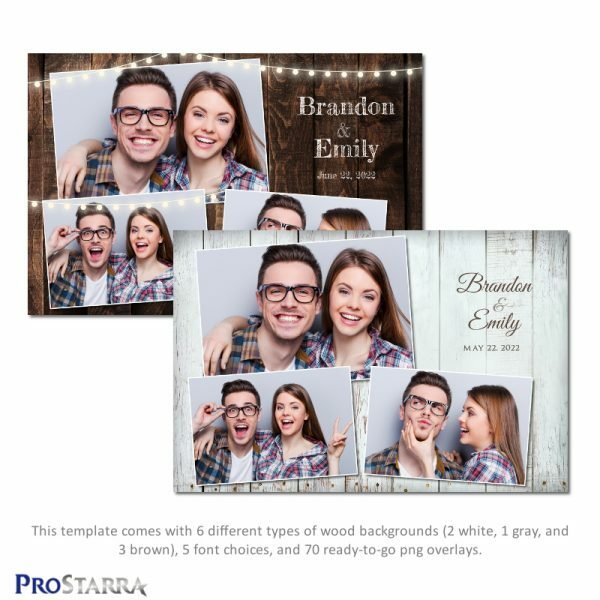 The template package comes with 166 ready-to-use overlays in 33 different colors – including the most popular wedding colors – along with three different photo frames to choose from: simple white thin lines, thick silver frames, and thick gold frames. 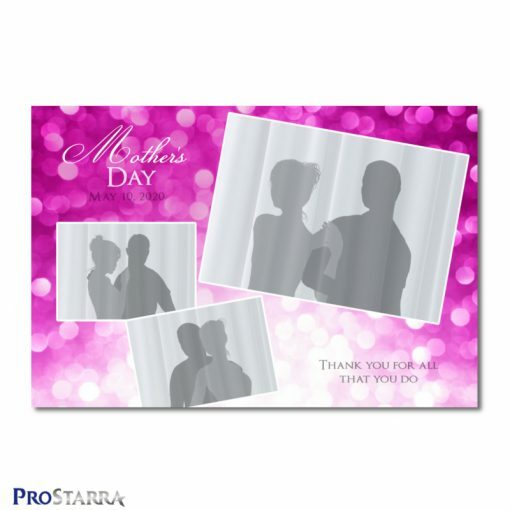 This huge selection of overlays that is laid out and ready to go allows you to skip Photoshop if that’s not your thing. 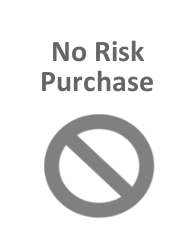 However, if you like to use Photoshop or Gimp (free software that is similar to Photoshop), we include a psd template, a psd elements template, and a Gimp template so you can modify anything you like. 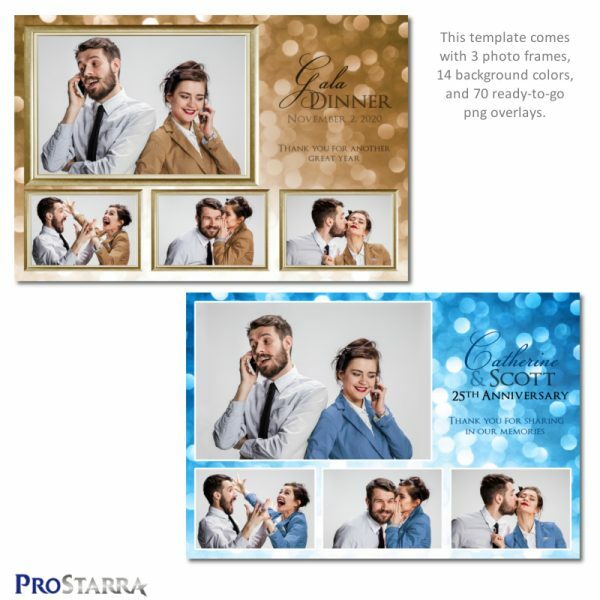 Each of these files is nicely organized with clearly labeled layers to make using them as easy as possible. 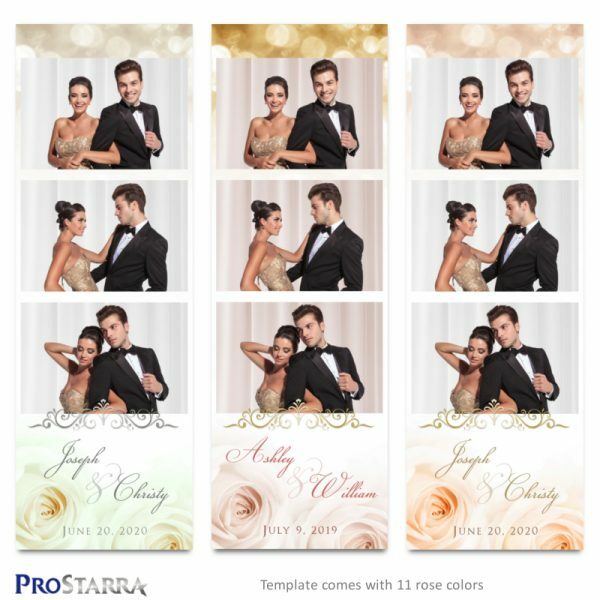 The colors the template comes with include 6 shades of blue, 4 tones of white (white, cream white, champagne white, seashell white), 3 shades of purple, 3 shades of pink, 3 shades of green, 2 shades of turquoise, teal, black, silver, gold, rose gold, copper, brown, orange, red, and coral. 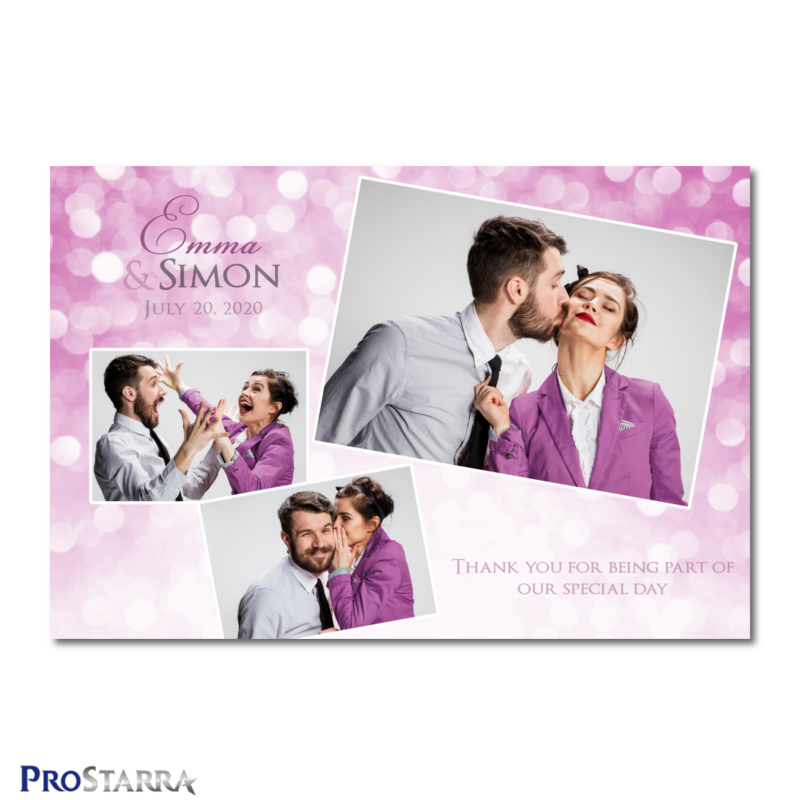 This postcard style photo booth template comes with 166 ready-to-use overlays and 33 backgrounds that you can load into your system and be up and running in no time. 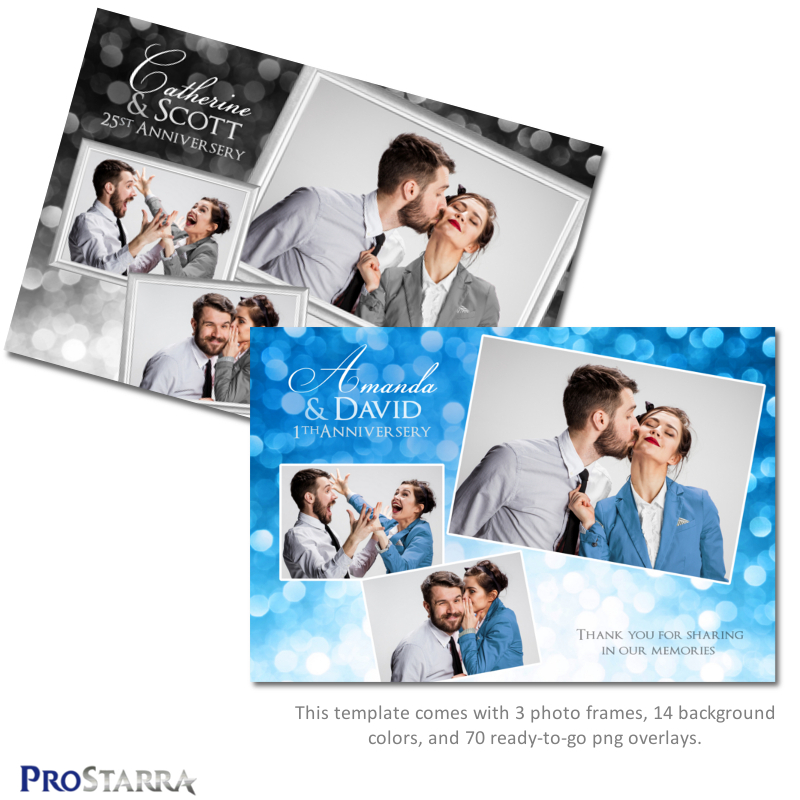 All of these are different color and photo frame variations of the same layout, but we’ve included them so that this package contains everything you need so that you don’t have to touch Photoshop if you don’t want to. If you do want to customize the layout in Photoshop, we’ve got you covered. The many variations of this photobooth template layout make it perfect for a lot of weddings, balls, gala events, special dinners, awards ceremonies, anniversaries, and corporate events.